Coming June 29, 2015. Just for you ladies! 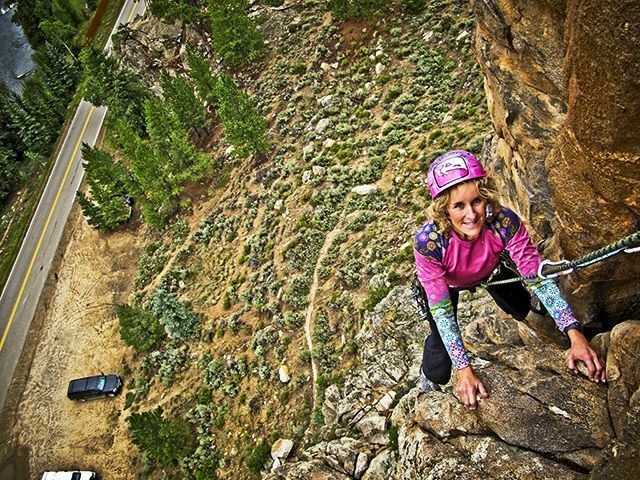 The Women’s Climbing Clinic by Crested Butte Mountain Guides offers you two days of instruction and hands-on exercises to introduce you to or improve your climbing technique. Price includes all personal gear – helmet, harness, and shoes, as well as all technical gear – ropes, slings, and rock protection. A fun, supportive environment to get you comfortable on the rocks. Rifle Climbing Clinic by Chicks Rock!